Irrigation Installation Fort Collins - Call Our Experts! | Advanced Landscaping & Sprinklers, Inc. If you live in Colorado, installing an irrigation system in your front yard or backyard can do wonders for your home and landscape. Not only will a sprinkler system ensure that the greenery on your property receives the water it needs, it can save you time and money on your water bill while improving the overall value of your home. At Advanced Landscaping & Sprinklers in Fort Collins, we’re proud to be a leading provider of sprinkler system installation, sprinkler repair and sprinkler maintenance services, and we’ve helped hundreds of homeowners successfully install irrigation systems that meet their unique needs and budget. When you contact our certified landscaping professionals, we’ll schedule a convenient time to come to your home and evaluate your property before recommending the best sprinkler system for you. Call our irrigation system specialists today or browse our gallery to view recent landscaping projects. Are you tired of watering your lawn or landscape by hand? At Advanced Landscaping & Sprinklers, we understand how much time and energy it takes to properly maintain a landscape. Whether you have a small patch of land in Fort Collins or a large lot of acreage in Loveland, it can be exhausting trying to keep up with the demands of your landscape, especially if you don’t have an irrigation system installed. When you invest in a sprinkler system for your landscape, you’ll never have to worry about watering your grass and flowers during the hot summer months in Colorado. Most irrigation systems come with timers that can be preset for daily or weekly watering routines. 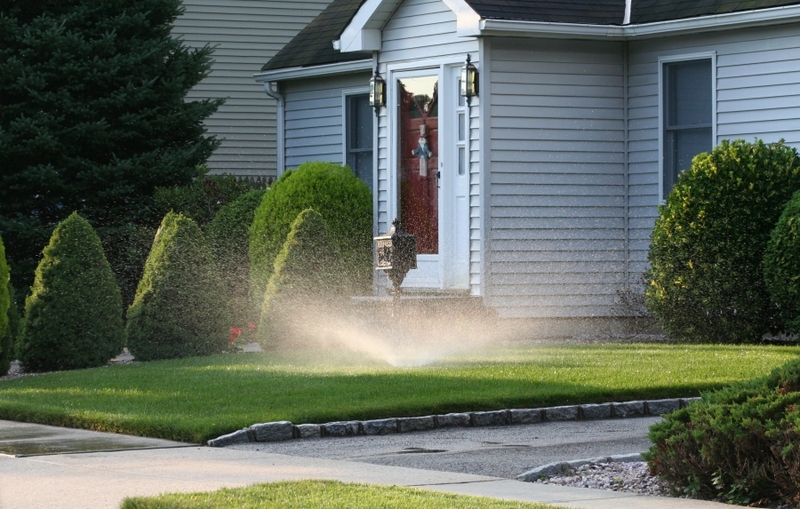 Not only can a sprinkler system provide the exact amount of water your lawn needs thrive, it can also help to lower the cost of your future water bills. If you’re interested in installing an irrigation system around your home, there are two main types to consider. Drip irrigation systems are becoming extremely popular among landscapers and irrigators as they are the most water-efficient option available. A spray irrigation system is a more traditional sprinkler system that can be installed at ground level with a variety of spray heads. This type of irrigation system is best used on flat surfaces but tends to waste more water than a drip irrigation system. Did you know that watering your lawn and flowers with a garden hose can actually cause damage to your landscape? When you water your lawn with a garden hose, your lawn is more likely to lose important nutrients from overwatering. When you invest in an automatic drip or sprinkler irrigation system, you won’t have to worry about over saturating the soil and losing plant nutrients because your sprinkler system will operate around customized watering intervals. Rather than wasting time repositioning manual sprinklers and dragging around water hoses, consider investing in an automatic sprinkler system for your Colorado home. 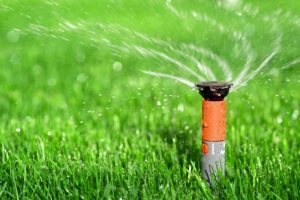 If you need help choosing an irrigation system for your home, contact the experts at Advanced Landscaping & Sprinklers in Fort Collins today!